Ingredients: green olives 75%, capers 6% , olive oil, basil from Provence 4.4%, garlic, anchovy cream (anchovies, olive oil, vinegar, and salt, 4 spices mix), salt, pepř. Alergeny: anchovies. 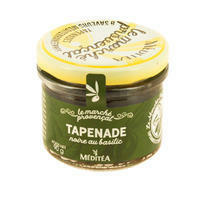 Tapenade is a French medieval invention and means "paste" or "pate". 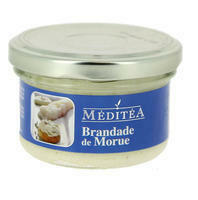 It is said that the first olive paste, also known as "olivada" or "tapenade" originated in Provence. Meditea produces vegetable and fish tapenades from mediterranean products such as olives, artichokes, tomatoes, eggplant, zucchini, and also from fish (tuna, sardines and cod). 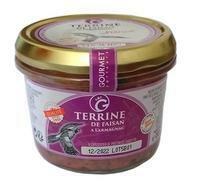 These tasty tapenades, enriched with high-quality extra virgin olive oil, are delicious appetizer. Simply spread the bread or crispy baguette with it and taste it. Gastronomic possibilities are almost endless - you can add tapenades to salads, pasta, pizza or use them in vegetable dishes, fish, white meat, or to prepare appetizers. Adding to the wine vinegar, a new original way to create a new flavor of the dressing. 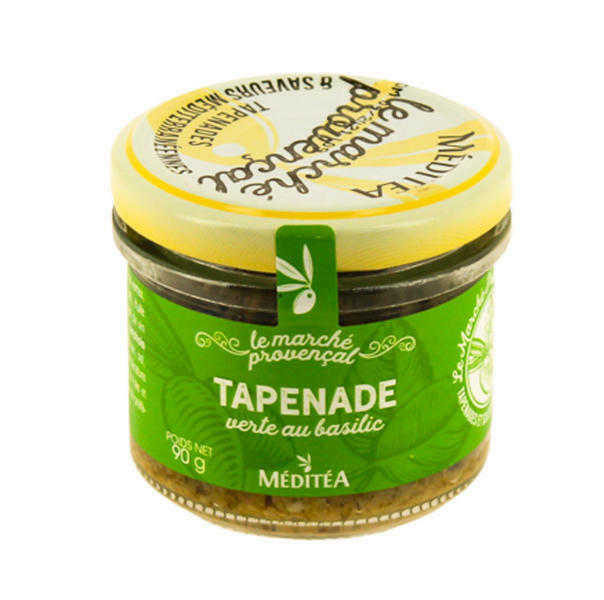 French tapenades Meditea are produced using the traditional method without adding any dyes, preservatives or emulsifiers, threfore free of E.